Ragtime the Musical has its West-End premiere in 2003 when Maria Friedman was named Best Actress in the Olivier Awards.It is now playing at the Landor Theatre from September 1st - 8th October. 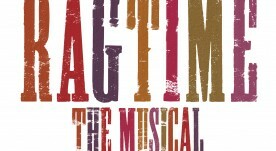 Ragtime takes place at the turn of the twentieth century in New York. An era is exploding. A century is spinning. And the people are moving in rhythm and rhyme to the music of Ragtime. Ragtime tells the story of three groups in America: Coalhouse Walker Jr (a Harlem musician): a mother and her family in New Rochelle and Tateh, a Jewish immigrant who has come to America with his daughter seeking a new life. It features many historical figures, including Harry Houdini, Booker T. Washington, JP Morgan and Henry Ford. The cast includes Louisa Lydell/Mother (Love Never Dies, Mamma Mia, Fame and Blood Brothers): Rosalind James/Sarah (Hair, Les Miserables,Gone With the Wind, Jesus Christ Superstar): Kurt Kansley/Coalhouse (The Lion King, Hair, Grand Hotel, Rent and Show Boat). Ragtime the Musical has a book by Terrence McNally, lyrics by Lynn Ahrens and music by Stephen Flaherty. 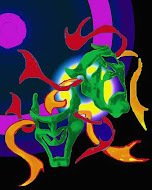 It will be directed by Robert McWhir with Musical Direction by George Dyer. Raymond Coker is also a member of this prestigious cast.